Following the very informative series on the topic of Pieces of an Affordable Website Design (Part 1, Part 2 and Part 3), I would like to talk about how a Newsletter can increase your site’s traffic and profit. There is a war going on. An online fight over readership. The battle of the clicks. A struggle for survival where only clickthroughs prevail. How do you get those elusive clicks? You have to inspire itchy trigger fingers, and the best Internet marketers know how to do just that, but bloggers are missing out on a lot of the action. The key to successful Internet marketing, which is exactly what monetization is, whether you have a blog, a website or a landing page, is developing loyalty and using diverse means of doing so. The reason most bloggers don't get the most out of their marketing possibilities is simple—the origin of blogging doesn't really have its roots in money making business. Most often, a blogger comes on the scene thinking about making a place online to connect with family, friends and maybe a few strangers along the way who share common interests. Blogs are great for that, but they have evolved into much, much more. As time goes on, those same bloggers begin to learn of ways that other bloggers make money from their blogs and it sounds like a really great deal! Hey, you blog anyway, right? Why not make a few extra bucks doing it, and the way things look, those few bucks really add up. They sure do, but only for the people who can make the transition from recreational blogger to professional blogger by channeling a marketing guru. Guru—Did You Really Say Guru? Yeah, but don't pull out those checkbooks and rush to the nearest "get rich quick" landing page that offers a way to get filthy rich by blogging in your sleep. Not gonna happen. What you need to do is learn how THOSE gurus get others to climb up on their wagon. They use blogs, they use websites and splash pages, but they use one thing no matter what platform they jump from—they use newsletters. Newsletters are an ingenious way to gain loyalty. Think about it, you no longer have to wait for your reader to come to you, you can go to them. Using a newsletter encourages both increased traffic to your blog, and provides additional monetization possibilities. Not only does a newsletter keep your regular readers up-to-date on what is going on over in your kingdom, it also captures others who might otherwise never return. You might not like to admit it, but an overwhelming majority of viewers that happen upon a blog for the first time, won't return. It's nothing personal. The Internet is just a very busy place, with lots of places to go, and people only have so much time in a day to devote to their Internet meanderings. In order for a newsletter to do its job, you have to get people to subscribe to it. The first thing you need to do is provide thought-provoking, interesting content on your blog in the first place. Hopefully you are doing that already, anyway. The next thing you should do is regularly remind people to sign up for your newsletter so they never miss the interesting information you have to offer. Place that reminder at the bottom of your posts, or in a prominent place on your page. Then make sure you are offering a compelling reason for your readers to subscribe to your newsletter or email course. JazzyMarketing, for example, is offering a series of informative emails, which teach you how to sell online regardless of your technical ability. How can you resist to that? The first thing your newsletter should do is give your readers a reason for opening it. Make the subject line enticing, and offer them some tidbit of useful information inside. Be sure to follow through with that offer. Speaking from my experience with my niche diet blog, where I highlight a Medifast coupon and Diet to Go discount, I have realized that the newsletter doesn't have to be a full-blown article, or any earth-shattering idea, but you should have some lead-in that is worthwhile, so your subscribers will always be happy to see your newsletter in their inbox, and more importantly, won't hit the "unsubscribe" link at the bottom of it. The next thing you want your newsletter to do is encourage readers to come back to your blog. So decide on a regular schedule for newsletter release, for instance a weekly installment, and provide the title and a short teaser for each blog post you create during that week with a link to the post in your newsletter. Finally, take full advantage of your newsletter by offering your reader's special deals that are associated with the subject matter you address. If you have a health and fitness blog, give them a link that offers a special weight loss program, or body-building advice. 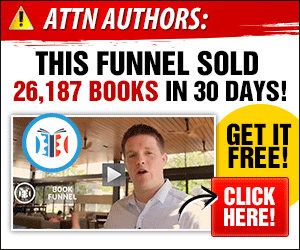 These should be monetized links, so if you don't already have a ClickBank account, Amazon affiliate account or other affiliate membership—get it now. They are great ways to enhance your monetization, and you can use them on your blogs as well. The bottom line is, you have to think like an Internet marketer, not a blogger, when you are looking at all your options for monetization. Otherwise you're simply a foot soldier in the blogging war – and you are expendable. Matthew Denos is a professional blogger. He monetize his blog through Adsense and affiliate programs, which is why he is passionate about learning the most effective techniques in the field of online marketing. He currently maintains a diet and weight loss blog that features Diet to Go savings coupons (a freshly prepared meal delivery service) as well as discounts and promotional coupons for Medifast, a physicians recommended meal replacement diet.